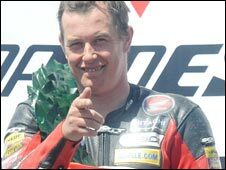 Dundrod course lap record holder John McGuinness will join up with Ian Hutchinson in the Padgetts Honda team for this year's Ulster Grand Prix. The TT winners will prove a formidable partnership for the races which will be staged from 12 to 15 August. 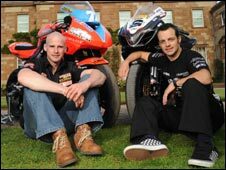 Relentless TAS Suzuki pair Bruce Anstey and Cameron Donald will also ride, while Guy Martin and Keith Amor have confirmed their intention to compete. Conor Cummins of McAdoo Racing and Ryan Farquhar of KMR will race Kawasakis. Supersport TT winner Michael Dunlop, brother William, Adrian Archibald and John Burrows join Farquhar in spearheading the local challenge. Welshman Ian Lougher will ride Yamahas and Lincolnshire ace Gary Johnson is expected to take his place on the grid with the Uel Duncan/Robinson Concrete Honda team. McGuinness holds the absolute lap record for the course, at 131.70mph, making the Dundrod event the fastest in the world. The Morecambe rider took his 15th TT win in the Superbike class on the Isle of Man aboard an HM Plant Honda while Hutchinson won the Superstock and Supersport A races for Padgetts. This year's Ulster Grand Prix will have Stoneyford Concrete as its title sponsor. Noel Johnston, clerk of the course, has emphasised that safety remains of paramount importance at the Dundrod races. "We are proud of what we've achieved to date with the course in terms of safety," he said. "While no road race is ever guaranteed to be 100 per cent safe, please be assured that over the last even years, we have spent £300,000 purely on assessing and updating the safety of the course. "For instance, we have removed 300 metres of trees and hedges and replaced them with removable fencing. "My main objective this year is to put on the biggest and safest race possible."